Grammy Award winners John Legend and Carrie Underwood will co-host Grammy's Greatest Stories: A 60th Anniversary Special, an all-encompassing retrospective packed with epic moments from the past 59 years of Grammy history, including new anecdotes directly from the artists on how their Grammy performances came to be. The primetime special will be broadcast on Friday, Nov. 24, from 9 to 11 PM ET/PT, on the CBS Television Network. The one-of-a-kind broadcast event will feature rare archival footage, exclusive interviews, and special appearances by multi-Grammy winners and nominees Christina Aguilera, Mary J. Blige, Celine Dion, Dave Grohl, Elton John, Alicia Keys, Bruno Mars, Chris Martin, Ricky Martin, Paul McCartney, P!nk, Ed Sheeran, Blake Shelton, Bruce Springsteen, Sting, Justin Timberlake, U2, Underwood, and Keith Urban. Grammy's Greatest Stories: A 60th Anniversary Special will highlight some of the most memorable Grammy Moments from the last five decades of Music's Biggest Night and take viewers behind the scenes to reveal unknown facts about the remarkable performances. 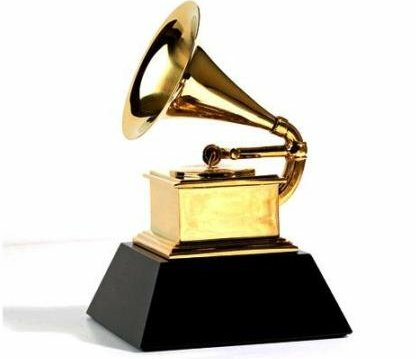 Special segments will include reactions from Grammy producers and members of the music community following some legendary performances, including Paul McCartney bringing the Beatles' legendary album, Abbey Road, to the Grammy stage. "I have never felt more honored, proud, and nervous, and a sense of unexpected accomplishment. My first moment on that stage was with one of the greatest legends—not in country music—of the entertainment industry, period! "—Blake Shelton on performing with Glen Campbell at the 54th Grammy Awards in 2012. Grammy's Greatest Stories: A 60th Anniversary Special continues the tradition of previous Emmy Award-winning TV specials presented by the Recording Academy, AEG Ehrlich Ventures, and CBS: Stevie Wonder: Songs In The Key Of Life—An All-Star Grammy Salute, The Beatles: The Night That Changed America—A Grammy Salute, Sinatra 100—An All-Star Grammy Concert, and Stayin' Alive: A Grammy Salute To The Music Of The Bee Gees. Grammy's Greatest Stories: A 60th Anniversary Special is produced by AEG Ehrlich Ventures, LLC. Ehrlich is the executive producer, Ron Basile is the producer, and David Wild is the writer.